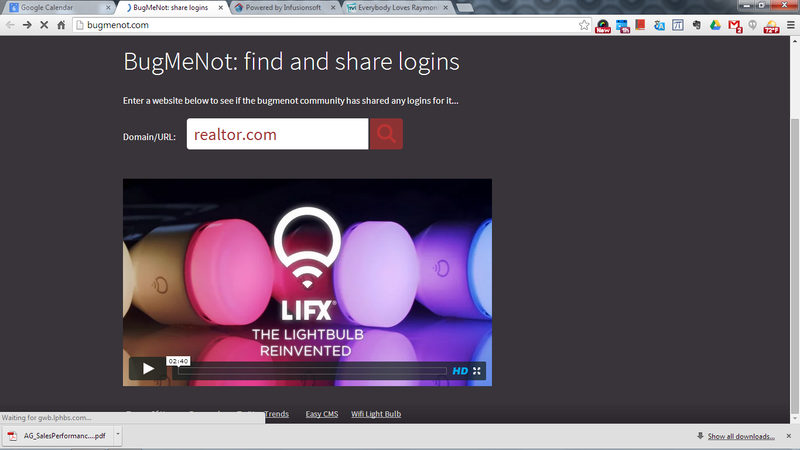 Learn with Lee: Real Estate Coaching and Consulting: Beware of BugMeNot.com! Are you happy with your website's ability to capture leads? You may have spent time, energy and dinero creating a user-friendly lead capture widget for your website but there is a new tool (which I am dubbing real estate public enemy #1) that may be preempting you from receiving those leads. Egad! BugMeNot.com allows real and dummy user logins to various websites to be shared, destroying the intricate lead capture system you thought your website had. For example, I entered two of the websites that I have generated leads from in the past, Realtor.com and RE/MAX.com. Both sites are on BugMeNot.com with dummy logins that have been used - arrgh! Obviously these are people that do not want to be harassed today by a slew of emails and calls but many times these are still folks that will eventually buy and will most likely use a real estate agent so let it be you! But if you never have any information to contact them with, the only result is you lose out on a possible lead, no matter how far in the future the site visitor may become ready to purchase and connect with an agent. 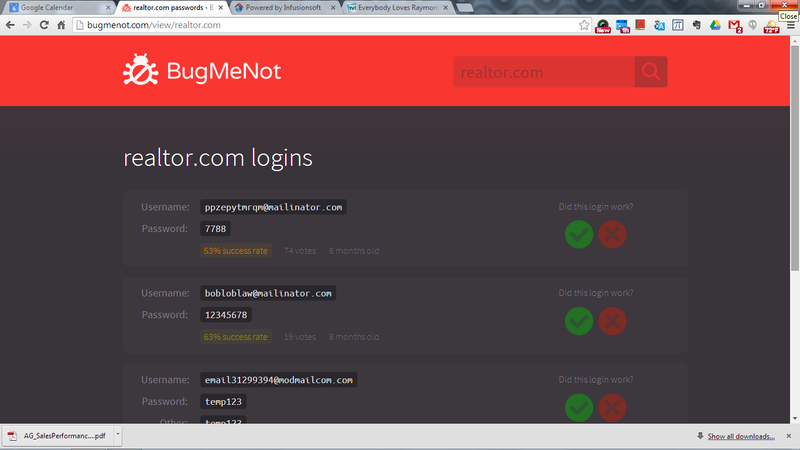 I encourage you to go to BugMeNot.com asap and enter the websites for both your real estate company and your personal sites to see if a dummy login is being used to prevent you from capturing leads. 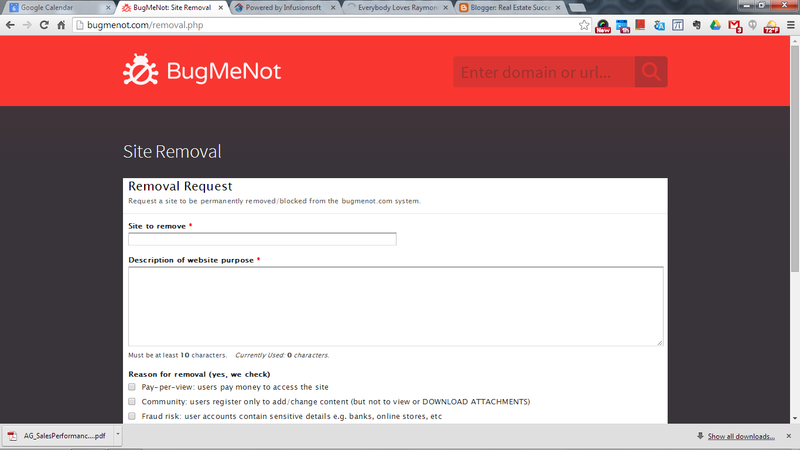 If you find that BugMeNot.com has any of your sites featured, you can scroll to the bottom of the page and click, Removal to request that your site no longer be featured on this loathsome site. I hope this helps you to fill in gaps that may be undermining your lead capture system and techniques.